Matthew Rupcich, a native of Crete, Illinois, has enjoyed an extensive career as a professional singer, conductor and educator. As the Conductor and Music Director for the Rockland Camerata in Rockland County New York, he brings a passion and love for choral music through providing unique and well received programming. In 2011, he was invited to participate in the Eighteenth International Gilbert and Sullivan Festival in Buxton, England, serving as Music Director and Conductor of Savoynet’s production of The Mikado. 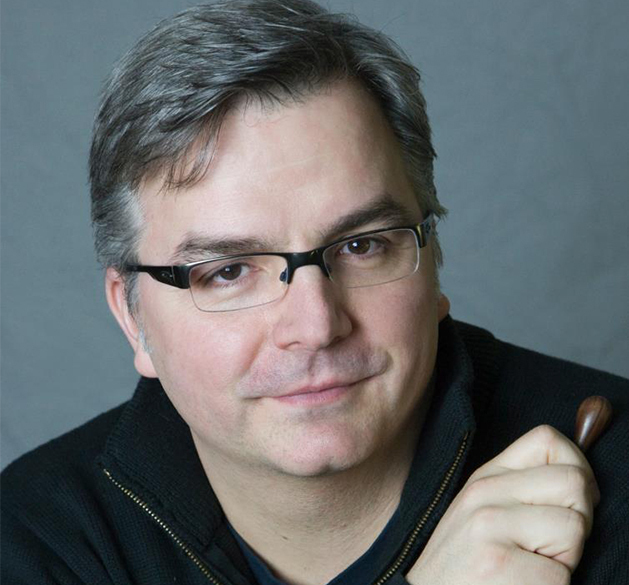 He served as the Concert and Choral Director for the Blue Hill Troupe of New York City from 2005 – 2012, conducting both operettas (Gilbert and Sullivan) and musicals (Brigadoon, Into the Woods, and Follies). Matthew is currently an adjunct professor of choral music at Hunter College (CUNY) where he has conducted a significant number of major choral works, including Requiem (Duruflé) Dona Nobis Pacem (Vaughan Williams), Mass in C (Beethoven), Carmina Burana (Orff), Utrecht Jubilate (Handel), Dixit Dominus (Vivaldi) and Te Deum (Haydn). Under his leadership of the Rockland Camerata, the group has presented Liebeslieder Waltzer (Brahms), Magnificat (Bach), Mass for the Children (Rutter), Ceremony of Carols (Britten), Mass in Time of War (Haydn) and Christmas Cantata (Pinkhman). Matthew has conducted at West Point, The Richard Rodgers Theater, The Metropolitan Museum, Avery Fisher Hall, and the Buxton Opera House in England among other internationally-recognized houses. Matthew is a graduate of the Peabody Conservatory of the Johns Hopkins University where he studied voice with Phyllis Bryn-Julson and earned a degree in Music Education. He has played a significant role in Peabody’s Alumni Association over the past 25 years and is currently serving as Past-President. Matthew has a Master’s in choral conducting from the University of Maryland. As a youngster, Matthew was the youngest person, at the age of 17 years old, to ever be accepted to the Chicago Symphony Chorus singing under the tutelage of Margaret Hillis and Sir Georg Solti. From 1998-2016 Matthew taught at the prestigious Trinity School in New York City. While at Trinity, Matthew conducted over 50 concerts with middle and high school students and he has conducted over 25 Broadway musicals. At one point in his career at Trinity, Matthew was working with five choruses at a time. As a choral music teacher Matthew brought his passion and joy of choral music to all his students. In 2014 and March of 2016, Matthew was invited as a guest conductor for the Intermediate All-County Elementary Chorus of Rockland County, New York. Matthew recently moved to NEPA and is excited to start working with young people in the area!